← Both Websites Are Now In Good Shape! Luxembourg ITC researcher Maggy Fischbach received the most amazing contacts through the 1980s and 90s, especially during the years when our INIT group was in close collaboration (1995-99). Several of the contacts described how some individuals had arrived on the third level and gotten settled in after dying on Earth. Here are excerpts from three of the more amazing reports. 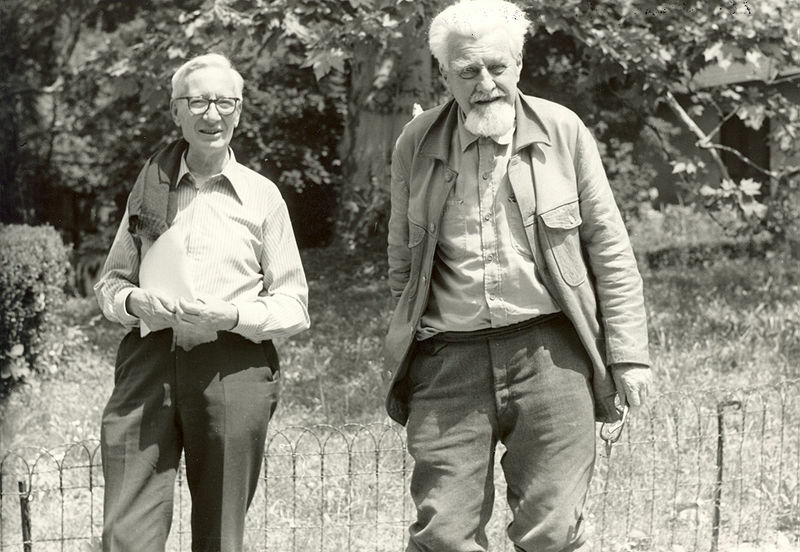 Konrad Lorenz (right) and his friend, fellow Nobel Laureate Nikolaas Tinbergen. 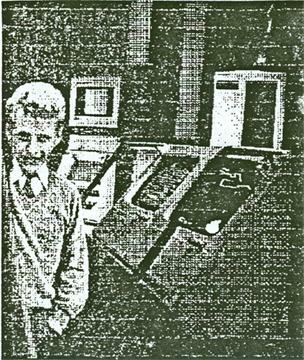 Konrad Lorenz in his youthful spirit body, at Timestream Sending Station. Edith Koerner Schoenheid died in the early spring of 1995. She was the wife of Ludwig Schoenheid, a photographer and retired German pharmacist, who had joined our INIT research group in 1996. A letter was sent to Ludwig through Maggy Fischbach at the ITC receiving station CETL, Luxembourg, describing Edith’s arrival in the worlds of spirit. Following are excerpts from the letter, which can be read in its entirety on page 12 of the journal Contact! (http://www.spiritfaces.com/pdfs/z9601.pdf). Maupai Hartmann, who is of white skin too and has been with us for many years, often and long talked with her about his journeys into other regions along the River of Eternity. The two were like brother and sister. The more Edith heard about the world outside our tribe, the more restless she became. One day she couldn’t stand it here with us anymore and, at her request, Maupai Hartmann took her along in his boat with sail that was driven by energy of the suns. The whole tribe stood along the shore to say goodbye. Under the stars the two embarked for the station which they call Timestream, as Edith knows people of her family there and she will help the great white doctor (Swejen Salter) who talks with picture boxes and sound boxes and whose magic is so strong that word of it has spread even here to the lagoon. 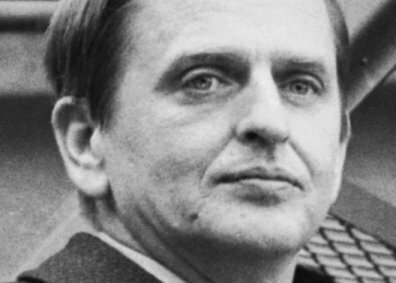 A report of Swedish Prime Minister Olof Palme’s arrival in the spirit worlds arrived a decade after his assassination. My name is Skjoldung and I am a Dane. I remember well. Ten years have passed, but today is the day I found this man. Every year on this day he comes back to us when we celebrate the feast day in our village. When we sit around the fire in the evening and the outdoor tables are removed after the meal, the women bring the drinking horns and urge me to tell them the story of the man I found ten years ago. Because I am a skald (Viking poet writing in the complex late Old Norse style) and play the harp, I give in. So it will be again this evening. They all listen to me again and I shall describe how it happened. Our village Hleidhra is nearer to the snow-land than the Summerland which I have often traveled to, in the more than twelve hundred years that I have been here. Some people from our village have gone there too, but many who were brave warriors on earth have looked for it but have not found it. Here, the days are cooler and the sky is gray as I stand on the hill this evening with my harp on my back. Below me a brook glistens through the beech and oak trees. The earth smells spicy and eagles circle above me. The shadows grow longer and one of the suns is low. This morning I met a group of Swedes who told me the oracle has predicted something special for our village. I had not paid much attention to it. In my short 30-year life on earth I believed in Odin and Thor and it took me a long time after my death to understand that the story of Ragnaroek probably was not the right one, either. Meanwhile I got to know many gods, also the story of the one whom they call the true and only God and who is said to live somewhere far away in the mountains. I have met many here during my travels who claim to see events before they happen. I have always been a simple man and these things do not interest me. It is enough for me to have a piece of cheese and some bread on the way. I drink from a fountain or a brook and at night I wrap myself with my cloak. I thank my hosts with my songs and stories and always lead a simple life. We are not getting older here and have no sickness or diseases. That is enough for me. I need no Walhalla to be satisfied. However, what these Swedes told me on that day had aroused my curiosity and I had started to look for something that I really did not know. You know the feeling, Burton, it drives you on, it does not matter where. You cannot stay long, anywhere, and the fever consumes you to find what you don’t even know by name or where to find it. As I stood on the hill, I heard a rustle nearby. I jumped there quickly and saw a man in the underbrush. A little blood was dropping from two wounds, then it stopped. His eyes were staring and his mouth was open. The hair stuck to his head. He wore a strange piece of clothing like they wear in Summerland. I pulled him out of the bushes. After I bedded him on the soft ground, he started to move. Also, his eyes moved again. He spoke, croaking at first with effort, then becoming better and clearer. He spoke a Swedish that sounded strange to me and I could hardly understand him. I calmed him down, speaking to him in the language of the River. I could not answer that. He was weak and had two holes in his body, from which formerly blood was flowing that now had dried up, as always happens with our wounds very quickly here. I supported him and with my arms around him he staggered to Hleidhra, getting steadier as we came closer. He spoke of strange things, Burton, of something he called “Movie” and of two blows that hit him like blows with a hammer. He said his name was Olof Palme and he had to tell the world that he was still alive. When we reached the first houses of the village, he lost consciousness. I dropped him off in the Bohrer Inn, maintained by a man who came from Jutland. He took him in just like anyone else whom we can offer hospitality. He slept there for long weeks and when he left us he was a young man. He had heard of you and of your group (Timestream) and the Summerland. He insisted on going to you, just like the “Righ People” who had lived here a long time, but had left us a few years ago to join you. When he left us, he told me, “I thank you, friend Skjoldung. You and your people have taught me much. I think I am ready to look for the Summerland, even though I was a “politician”. Burton, I imagine a “politician” in the country he came from must be a great prince, for he was a good man and we respect him highly. You tell me that he has found a friend by the name of Frahm. This makes me happy in my heart, for a right man needs his friends. This evening, I shall have to tell everybody my story again…. Remark by Dr. Swejen Salter: Some time after he arrived here Olof Palme sent greetings through me to Nils O. Jacobson. He had learned that Nils cooperates with us and is Swedish. This entry was posted in After we die, what then?, Heaven and Earth, ITC, Other-worldly matters, Our paradise destiny, Spiritual realms, Uncategorized and tagged afterlife of Edith Koerner, afterlife of Konrad Lorenz, afterlife of Olof Palme, timestream. Bookmark the permalink. The three stories have certainly held my attention. Although not proven to be ‘real’, until some such time there is a demonstration for their lack of provenance, I will accept the statements as true. ITC and its adherents travel a rocky road, one that appears to be unexpectedly rewarding despite the frustrations. I admire the work, coming to the information late in life (nearing age 75) I feel too late to take on the challenge. Carry on, be well. I can assure you that to the best of my knowledge and trust (based on more than two decades of research, including several years working at the very center of things as a founding member of INIT), yes, these three stories are true. Here’s a link to an article I wrote more than a decade ago, which shows the kind of good, solid evidence we gathered to support the legitimacy of our work. Naturally there are always skeptics in this world who can conjure a lot of reasonable explanations why things like this must be a hoax… but I would happily defend my views on this work with my life and with all I hold dear. Until skeptics are willing to express that level of certainty toward their position… I suspect their claims come more from a brittle ego than from a strong heart. So… I thank you for your visit to this site, and for your conditional (understandable!) trust in its veracity. The answers to life’s biggest questions & mysteries are out there (for people willing to take the time to find them). What I’ve come to see is that most people (at least the majority of people I know well) are not curious enough to invest the time needed. If you’re not willing to invest the time, you’ll never have the peace that comes from “knowing” (unless you’re blessed with an NDE or some other mystical experience that pushes you into the category of “knowing” without having to do the hard work of consuming & digesting the (literal) mountains of evidence that exists out there for the initiated. Mark – I always thank you for this website because it helps pull a lot of research & insight together on a very critical component of the puzzle of life (mainly ITC & the messages received from your personal experiences with it) – it’s a real treasure trove of information received from a real (albeit “invisible”) dimension of reality. Another great website is victorzammit.com. He pulls all of the most important “subject headings” all together and provides a tremendous amount of research into one handy website (which will really help someone speed-up their research process). But even with all of these great resources, people still have to be curious enough to invest the time to reach the point of “knowing” – and a lot of people still aren’t. Not sure if that lack of curiousoty somehow stems from “fear” (which would really be ironic), but from what I’ve seen, it is the root cause of a general lack of enlightenment across the globe…but I think there’s hope that people “are” becoming more curious, and websites and forums (like this one) sure help. Thanks again for the forum here. Thanks for the reflections, David. I agree, Victor’s a good source of information………….